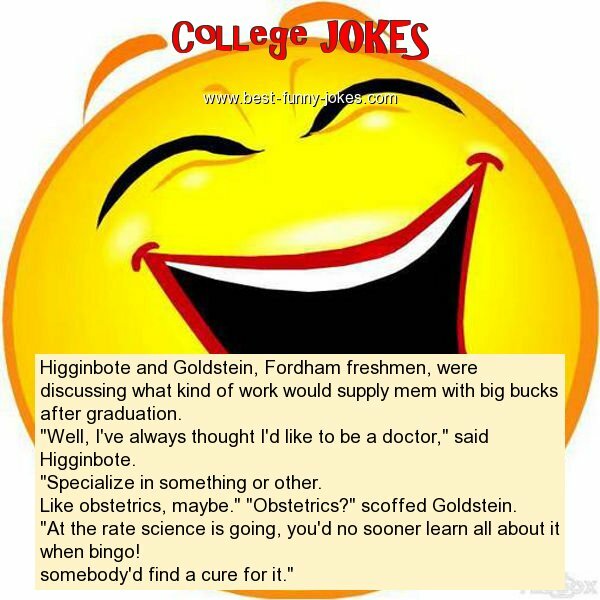 Higginbote and Goldstein, Fordham freshmen, were discussing what kind of work would supply mem with big bucks after graduation. "Well, I've always thought I'd like to be a doctor," said Higginbote. "Specialize in something or other. Like obstetrics, maybe." "Obstetrics?" scoffed Goldstein. "At the rate science is going, you'd no sooner learn all about it when bingo! somebody'd find a cure for it."